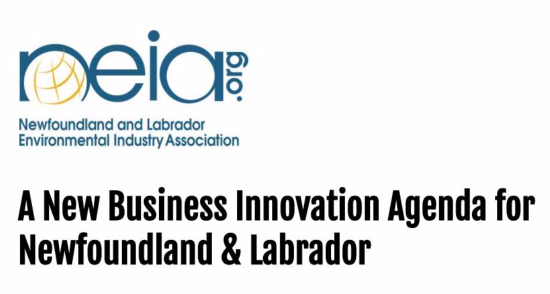 ST. JOHN’S, NL – The Newfoundland and Labrador Environmental Industry Association (NEIA) has made a submission to the provincial government’s Business Innovation Agenda engagement process. NEIA’s submission is in response to the government’s engagement with stakeholders aimed at developing a new business innovation agenda for the province. International business opportunities can also stem from local innovation in the province’s major resource industries, says Hanley. “From oil and gas, to mining, to the fishery, to aquaculture, to forestry, environments across the world can benefit from the products, services, and processes we develop here at home. NEIA’s submission can be found online at here or can be viewed interactively below.